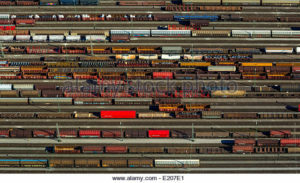 If rail is to play an increasing role in sustainable European freight transport, the freight network will need to offer enhanced connectivity between key EU transport corridors and hence there will be the need to manage increasing numbers of train movements and shunting operations through freight marshalling yards at strategic locations. 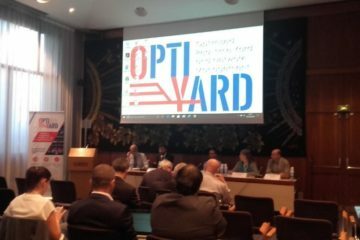 With the OptiYard project, the 13 Consortium partners under the coordination of UIC will provide tools to enhance decision support that can be directly applied to achieving enhanced yard capacity and efficiency. In the future, as in many other spheres, management and control of rail networks will be able to benefit from much larger volumes of more timely data regarding the status of the networks and the traffic on those networks, and this will offer great opportunities for managing networks and operations in real-time. We are already seeing major developments in the capabilities both for managing rail yards and for management of traffic on networks, and we can anticipate further important developments in both these fields. However, the lack of full integration between yard and network is a current weakness, and one that increases as more real-time data becomes available, because we will miss the opportunities to draw the benefits from such improved data. Hence, there needs to be much more progress in developing the integration of information systems and control systems between the yard systems and the network systems. It is in this field where this proposed project offers the most exciting possibilities, by working towards a much more developed concept of such integration and conducting demonstration projects of how such integration would work in practice, allowing estimation of the evaluated benefits of such integration. Large rail freight marshalling yards are complex operations which present major challenges to achieving operational efficiency, such that managing them effectively even in a stand-alone mode is a challenging task, for which sophisticated scheduling systems are required. Such yards manage a multitude of complex and time-critical tasks including: receiving multiple arrival trains, multiple wagon shunting and marshalling, to create multiple trains heading for different destinations. In addition, the arrival and departure of freight trains to/from the yard are closely linked to the operations of the wider network eco system, making some of the yard operation processes (shunting, marshalling and departing train dispatches) more time-critical than others. Thus, a key challenge to the future success of yard management lies in the real-time information exchange between the yard and the relevant network eco system, and the interactive responses between the yard and the network managements. With such information capabilities, yard operations could be rescheduled at short notice to take account of disruption on the network, such as the delayed arrival of an incoming freight train, allowing rapid re-optimisation of yard operations. Real-time network information could also be used to identify more accurate departure times for trains leaving yards, again allowing for beneficial rescheduling of yard operations. The OptiYard project is a Shift2Rail project under the coordination of UIC. It will run for 24 months.